Naturally occurring in the body, methylsulphonylmethane (MSM) along with glucosamine and chondroitin are found in joints and cartilage, which absorbs impact and cushions our joints when we move — making these tablets great for anyone taking part in rigorous exercise. Our super-convenient tablets are packed with 250mg of high-quality glucosamine HCL, and 200mg of added chondroitin, alongside a large dose of 300mg of MSM — key components of cartilage and joint tissue. They’re a great addition to your training programme as you push for peak performance. It can be difficult to get glucosamine from diet alone, as it’s found in very few sources — and these are mostly shellfish. 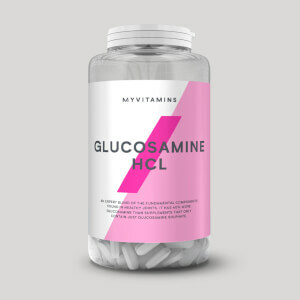 This makes our tablets a convenient, cost-effective way to keep your glucosamine levels high, whatever your dietary choices. 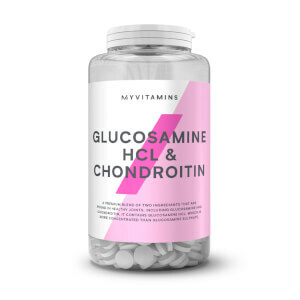 When to take Glucosamine Chondroitin? Take 1 tablet a day, with food for best results. Whether you’re a sprinter or a seasoned gym goer these tablets are right for you. What does Glucosamine Chondroitin work well with? To complement the benefits of glucosamine, chondroitin, and MSM add Omega-3 Plus — our high-powered softgels are a great way to get essential fish oils into your daily diet. Methyl Sulphonyl Methane (MSM), Glucosamine Hydrochloride (Crustaceans), Chondroitin Sulphate*, Capsule (Gelatine), Anti Caking Agents (Magnesium Stearate, Silicon Dioxide). For allergens, see ingredients in bold. Made in a facility that handles Milk, Soy, Egg and products thereof. Love these tablets. Been using for over a year now (3 in morning and 3 in evening) and really makes a difference to my knees - I used to get pain in them every time I bent down. Stopped taking them for a while months ago to see if they were really helping and the pain came back to my knees within a few days. Been using high dose of omega 369 (1 in morning, noon and night) and super omega 3 with them and loving it! 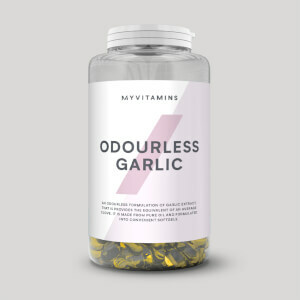 Was so impressed with them, I got some for my 65 year old mother as she has the onset of arthritis and in conjunction with taking omega 369, she no longer needs to take painkillers like she did before as these are really helping her joints! I used to have pain in my shoulder before, I started taking these and it defo helped. No pain, and my knees don't click either that much as they were before. Really good product . Have been taking for 2 weeks, 3 times a day: 2 caps at a time after food. I can feel it's working but might take at least few more weeks to see proper result. And great price too. Each cap should have at least 500mg Glucosamine (3x500mg a day is the minimum). I taking 6 tablets per day at mealtime(3 times 2pcs) for 2 months. For result need 1500mg of Glucosamine and 1200mg Chondroitin Sulphate = 6 pills per day. I had pain in my elbow and after 2-3 weeks I felt a decrease in pain and discomfort when lifting weights in gum. After 2 months, the pain passed. Now I'm going to do a course of Glucosamine and Chondroitin Sulphate 2 times a year for 2 months to prevent. So i can say that this is a good working Chondroprotector. Since taking these I have little to no pain in my joints after workouts or running. Would really recommend these.